Hey everyone, Adam here for another week of tabletop podcast reviews! T’au codex review, Adepticon, Star Wars & more! Hey all, Adam here, from TFG Radio, for this week’s reviews! We have a lot of Adepticon talk, a look at the T’au codex, Star Wars talk, and more! So, let’s get on with the reviews! Garagegamer Episode 1 – This is a extra program from Garagehammer. In this episode, with the DVD release of Last Jedi, they talk about the movie. they talk about what they like and dislike about the movie. If you’re a Star Wars fan, you probably have an opinion on this, so it’s a good episode to listen (and possibly argue with your podcast player). Mob Rules Episode 72 – With Adepticon underway, this episode is nice. Along with talking about their hobby essentials, they discuss the fundamentals when going to a convention. So if you are going to Adepticon, or any convention, for the first, this episode is helpful. Exploding Dice Radio Episode 9 – A bit of a hosting change as one of the hosts drops out. The remaining host talks about what is currently going on with the former Spartan Games, and about his search for a new co-host. As always, check out our blog, at TFG Radio, and give the podcast a listen. We talk 40K mainly but delve into other game systems. This week features only Tom & John, as Adam has been laid low by Pappa Nurgle. 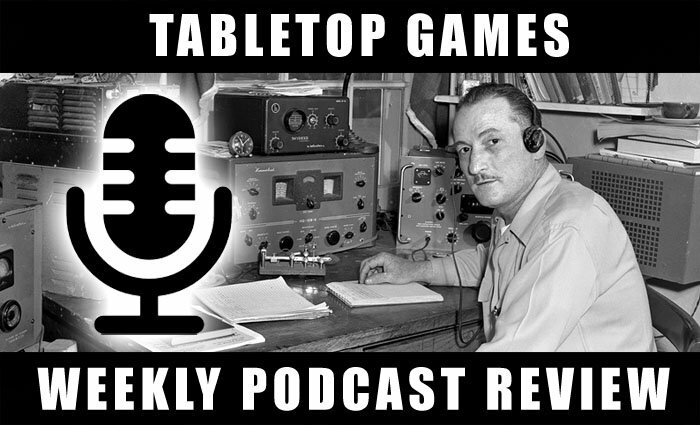 They discuss their initial reaction to the new Tau Codex, the news that came out of the GW seminar at Adepticon, and the Thursday results from the 40K Champs at Adepticon.